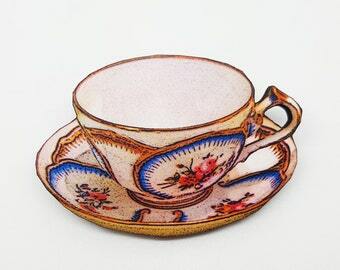 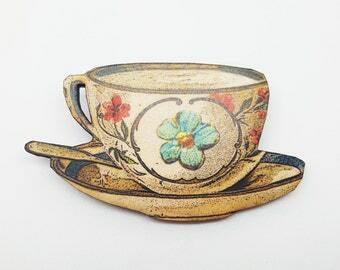 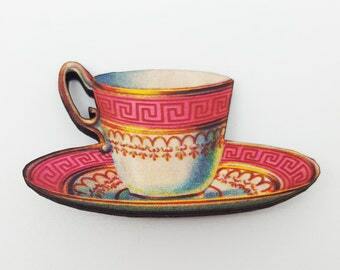 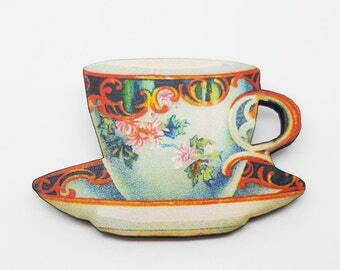 A quirky colourful laser cut wooden brooch pin depicting an illustration of a vintage china tea cup. 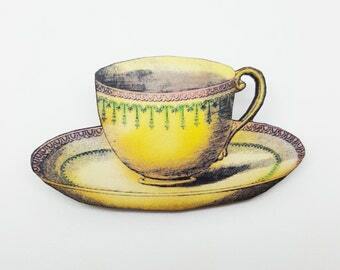 A silver plated brooch pin has been attached to the reverse using extra strong adhesive. 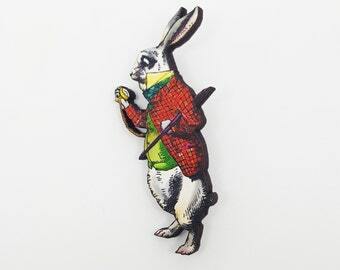 This pin measures approximately 5cm (2"). 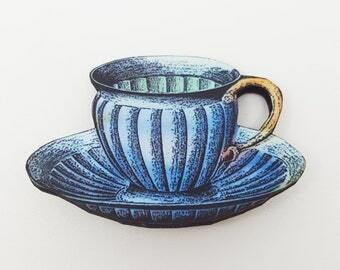 Each brooch pin will arrive on one of my signature postal cards. 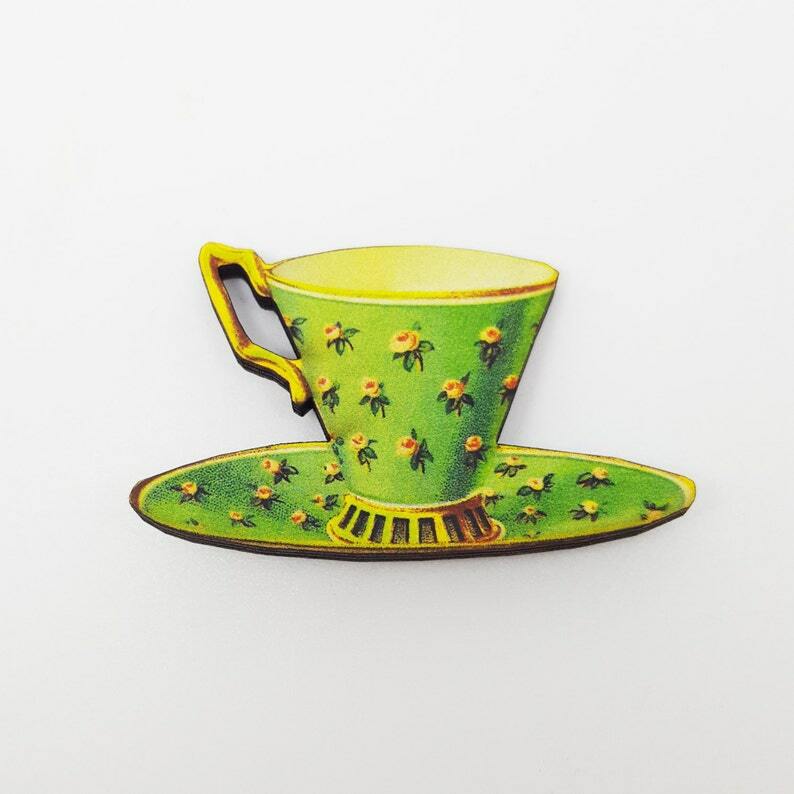 These brooches make super cute gifts and stocking fillers! 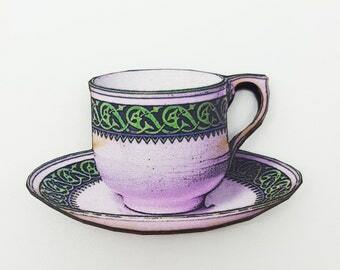 I only have 1 of each design so order now to avoid disappointment! 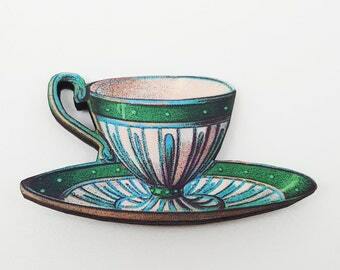 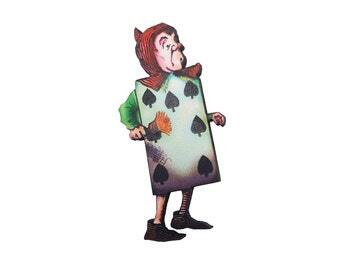 You can also find my Alice collection in the Oxford Town Hall Gift Shop!